BharatRakshak Indian Air Force| Raising of 81 Squadron "SkyLords"
Image Galleries Special Features, Current Events, Galleries Current Events 2013 Events Raising of 81 Squadron "SkyLords"
Raising of 81 Squadron "SkyLords"
Giving impetus to the long standing strategic airlift of the Indian Air Force, the Defence Minister Shri AK Antony today formally inducted the Boeing C-17 Globemaster III into the IAF at a special ceremony held at Hindan airbase of the IAF. The Induction ceremony was attended by a host of dignitaries including the Minister of State for Defence Shri Jitendra Singh, the Chief of the Air Staff Air Chief Marshal N A K Browne, Vice Chief of the Air Staff Air Marshal Arup Raha, Air Officer Commanding-in-Chief Western Air Command Air Marshal SS Soman, the US Ambassador to India Ms Nancy Powell and other Senior Officials of the IAF, USAF and Air warriors of the newly formed C-17 squadron “SKYLORDS”. 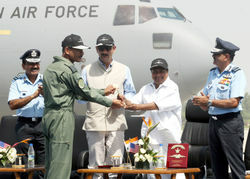 Describing the induction of the C-17 Globemaster III in the Indian Air Force as a ‘defining moment’, Shri Antony said, “With this, the IAF has taken a giant stride towards its goal of acquiring multi- spectrum strategic capabilities, essential to safeguard India’s growing areas of interest”. Shri Antony said the government had expedited the process of procuring 10 C-17 Globemaster III from the United States as apart of the Foreign Military sales programme because it was felt that there was a need for a capable strategic airlift platform. Shri Antony said the rapidly evolving geopolitical environment around us calls for a robust national security architecture. “Traditional Challenges to our national security have evolved into complex multi-dimensional threats. 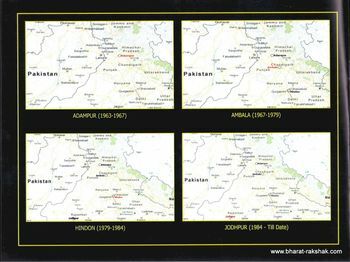 A long-term comprehensive capability enhancement approach by and for our Armed Forces is the need of the hour. On its part, the government remains fully committed to this responsibility”. Lauding the stellar role played by the IAF in rescue and relief operations during the recent Uttarakhand flash floods, he said, “Today’s induction of C-17 will further boost IAF’s capability for Humanitarian Assistance and Diaster Relief”. Referring to the Indo-US strategic partnership, Shri Antony said the induction of C-17 adds another important milestones in this relationship. Recalling the journey embarked by the IAF to fulfill the futuristic needs of Air operations, Air Chief Marshal NAK Browne said “The induction of ten C-17 aircraft promises to be a game changer on how we conduct air transport operations. The C-17 fleet will provide tremendous flexibility in terms of operational response options in any future campaign. The long range, heavy lift capability will allow the commanders to induct Troops, squadrons, Re-locate Forces as well as shift forces between theatres rapidly”. The C-17 would form an extremely important component of the strategic airlift capability and reach of the IAF. 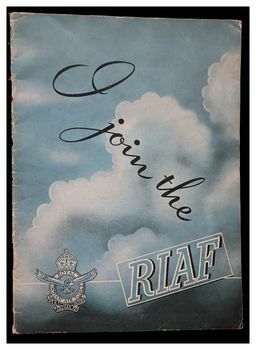 On the raising and the beginning of the new chapter of 81 Sqn the Air Chief said “The SKYLORDS join a very unique group of officers and me of our Transport squadrons who bring with them a legacy of Honour, Dedication and sacrifice with a mandate to uphold the highest professional standards of IAF”. 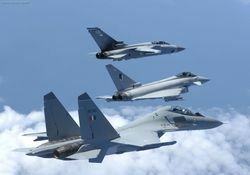 He further exhorted them saying “keep the work ethos of IAF foremost as you prepare yourselves to complete every mission with Honour and Pride”. 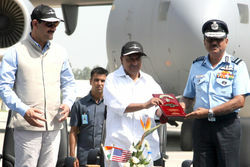 The government accorded approval to buy 10 C-17 Globemaster III along with associated equipment for the IAF in June 2011. The first of the 10 aircraft touched down in India on 18th June 2013 and the delivery of all 10 is expected to be completed by November 2014. 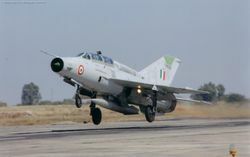 This aircraft will enhance the operational potential of the IAF with its payload carriage and performance and would augment the strategic reach of the nation during Operations, Disaster Relief or any similar mission. The induction of the C-17 is a major milestone in the modernization drive of the IAF. Presently three aircrafts have been delivered and are operational. 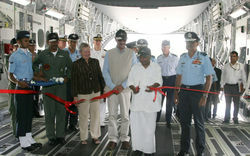 The newly inducted C-17 Squadron (81 Squadron) will be based in Hindan. The Defence Minister, Shri A. K. Antony and the Minister of State for Defence, Shri Jitendra Singh inside C-17 Globemaster III aircraft, during the Induction Ceremony, at Air Force Station, Hindan (Ghaziabad) on September 02, 2013.